It's been a fun week for me this week - because not one, but two of my stories have been recorded as podcasts, and they're free for you to listen to! 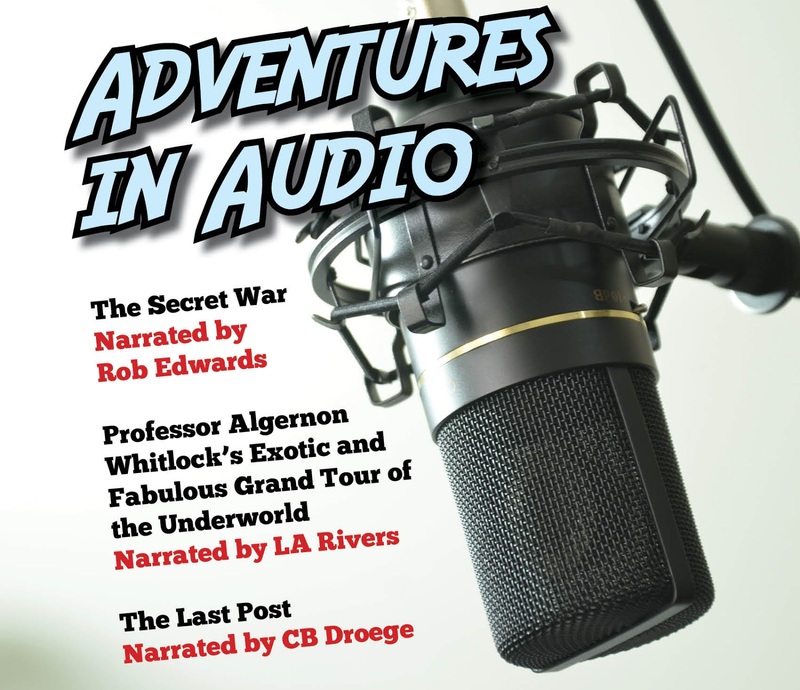 I love listening to Rob's podcasts so I was delighted when he asked if he might read one of my stories on his show. Many thanks, Rob. If you enjoy it - and I hope you do - then it's in great company in the Alternate Earths anthology. You might want to take a peek at that for some more smashing stories, including one by Rob himself. That's available at mybook.to/alternate. Already delighted with that, I was also tickled pink when LA Rivers asked for submissions to her podcast. She has a great voice for podcasting, and her show is a nice, warm, welcoming slice of cool to chat about books and enjoy literature. She reads my story Professor Algernon Whitlock's Exotic and Fabulous Grand Tour of the Underworld, from the Tales From The Underground anthology, as an expedition led by the redoubtable Professor Whitlock takes on some of the most challenging caves known to mankind - and relive a journey he took in his youth. You can listen to that right here thanks to an embed - but I heartily recommend you call by her website too, right here. Tales From The Underground is available on Amazon at mybook.to/Uground. Lastly, as I'm rounding these up, I would be remiss not to mention a previous story of mine recorded for a podcast - CB Droege recorded my flash fiction piece The Last Post some time ago and it's also still available to hear. You can find that over on his website at https://www.patreon.com/posts/ffp-0216-last-11763292. Thank you very much to all three - and you can keep up with each of their podcasts by following them on Twitter at the links below.